The struggle to achieve balance between warmth and breathability in an insulated jacket is all too familiar for all-mountain skiers. Enter the Jager Jacket, designed to keep you comfortable from morning’s chilly first chair ride through afternoon’s summit-bound boot pack. The stretchy DEFENDER membrane offers the highest levels of waterproofing and breathability, while the mesh structured Airflow System Premium liner and Primaloft Silver insulation provide maximum air circulation. 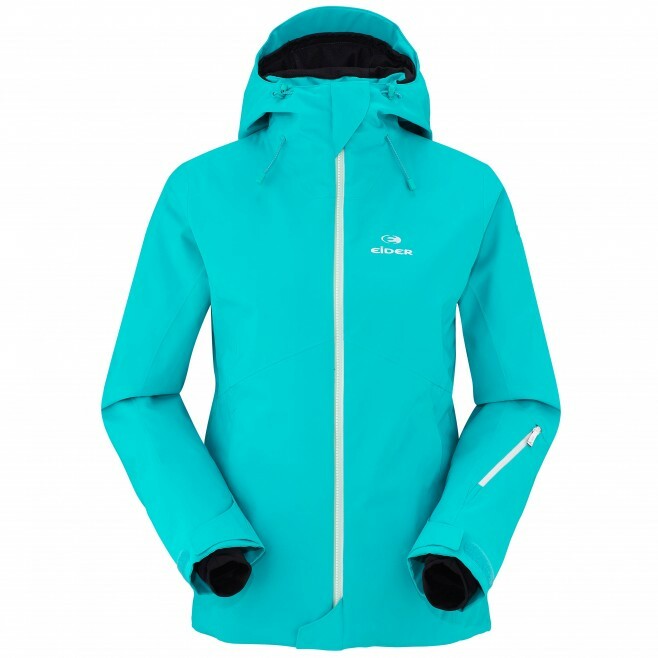 Coupled with an impressive list of ski features, clean lines, and a relaxed cut, the Jager Jacket provides a technically advanced option for committed lady skiers. The hood is cut to accommodate a helmet, for total protection in extreme conditions. Adjustable sides and back, rigid visor.